For years we have had a totally new version of Space Lift, we have just been waiting for the right platform, now we have found it with the Nintendo Switch! A new existential storymode, and completeley redrawn "HD" graphics...(if going from an Atari to a SNES can be considered HD at least). Are you ready for the ultimate panic! Craft demons, and define unique strategies in this one of a kind tower offense game! The story mode is crushingly challenging - do you have what it takes!? Fresh off the heels of Hiragana Pixel Party, we are launching our 3rd game on the Nintendo switch! Nuclien, originally recieved great reviews when it was launched as a premium game on iPhone in 2013, now remastered and updated we can't wait to see what people think of it on this new platform. 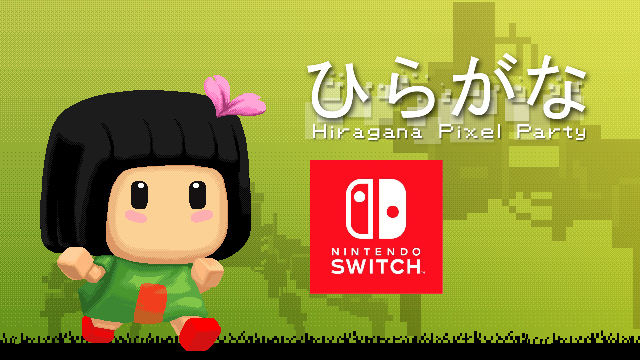 Hiragana Pixel Party is now available on The Nintendo Switch! We updated the graphics, added new music and generally made everything feel better! 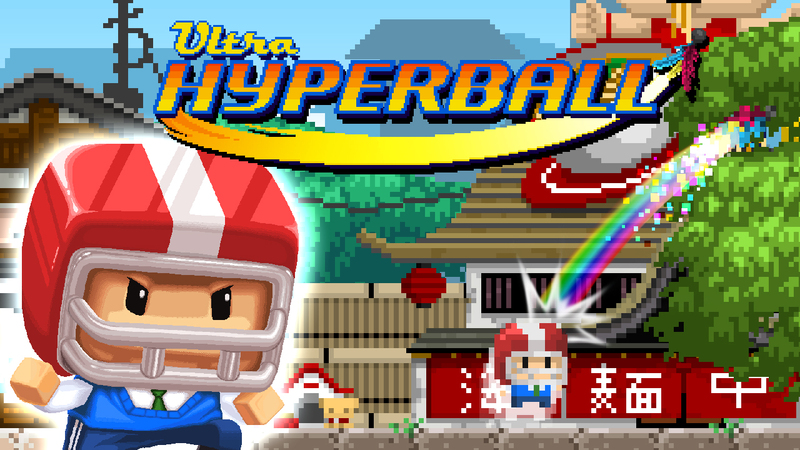 Built exclusively for the Nintendo Switch, Ultra Hyperball is our first game. 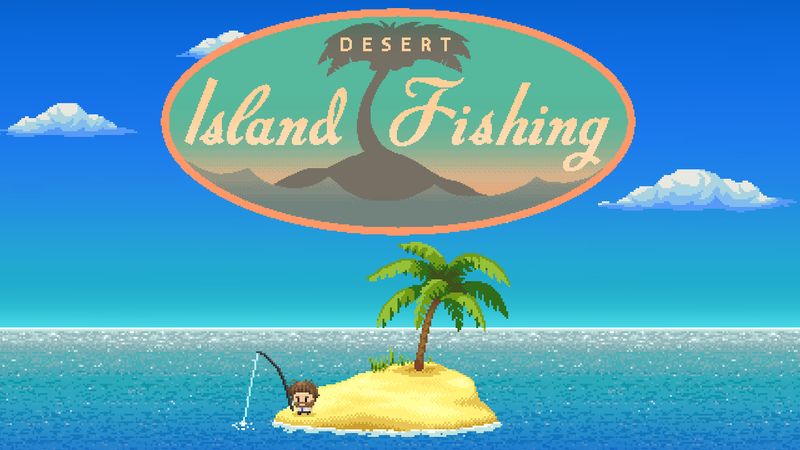 Desert Island Fishing (Winner IMGA Quick Play 2017) is a free to play mobile game with a surprising amount of depth . Taking over a year to build, there is more to the game than just catching fish. Discover 6 islands each with their own specific characters and stories. It turns out that there are a lot of things you can catch in the sea, from plastic garbage to fully playable videogame consoles. Desert Island fishing links with The Last Vikings to unlock new exclusive content. Campaign clicker is out now on Mobile, and Steam. 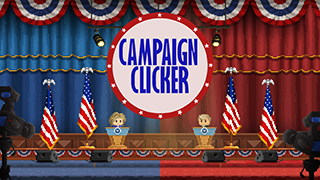 The game is an innovative clicker game focusing on the US election. Unlike other idle games, Campaign Clicker takes place over 24 hours real-time, forcing players to try and beat the game in one 24 hour session. After each election day, the game resets and players get to try again, with several bonuses in place to make things easier. The thing I am most proud of is that the game features live tweets from the candidates and the players. My hope is that some people who might not read the news will get exposed to more real politics and up to date comments of the candidates. Hopefully, the game will result in some people making more informed decisions about who they will vote for in the upcoming elections. The game has been downloaded over 300,000 times so far on mobile, and we are excited about our future updates. Despite never having been featured, and us spending no money on marketing, Hiragana Pixel Party has been downloaded over 100,000 times on iOS. So, while it took us a while, we are very happy to see Hiragana Pixel Party released on STEAM this week. The steam version features new music, controller support, and a whole new input system, along with some super epic new environments. We also made some Steam trading cards. If the game performs well, we may bring it to yet more platforms! 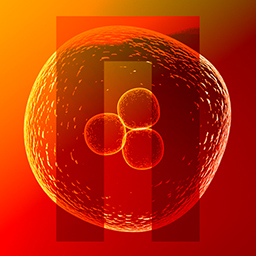 As the first game I made after leaving corporate life, I am still very proud of HPP! 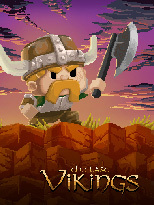 The Last Vikings was released on Mobile platforms at the end of 2015, we were in the first group of companies to benefit from Google's "Indie Corner" initiative. The game was featured by both Apple and Google on launch. Take on the role of Eric Blood Axe, and try to rebuild the Viking Civilization in this epic RPG! Sail the seas, Explore the land, and battle your friends in this huge scale game. 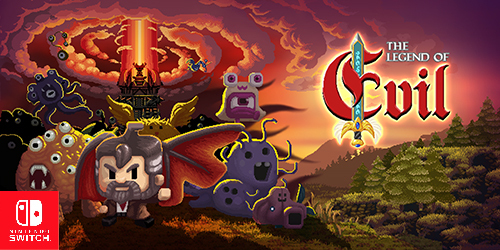 The Last Vikings took us a year to develop, and it the largest game we have ever built! Watch a segment of Google I/O 2016 to hear all about the Indie Corner and Springloaded. The Last Vikings is also coming to Steam soon. It has been downloaded almost 2 million times. This year Digipen announced a partnership with Nintendo, to bring Singapore games to their hardware. This partnership means that studios like ours can get involved and work directly with Digipen and Nintendo to ensure our games are double epic! Even though we cannot announce anything at this stage, as the only developer in Singapore to have previously worked on the 3DS platform, it's safe to say that we are looking at this opportunity very seriously, and if there were some kind of pilot scheme, and we were to be the first developer to work within that scheme it maybe wouldn't be too surprising to anyone. Heart Beaten is our second game on 3DS. Since released, it has been listed as one of the "Ten Indie games you need to own on your 3DS". Heart beaten originated from a 24 hour game jam, the version released on 3DS is almost unrecognisable from the original version, featuring new gameplay, graphics and music. 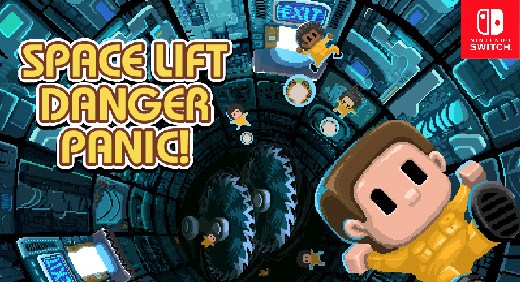 I rewrote the game from the ground up for the platform, while our guest coder Paul handled the struggles of getting the game onto the 3DS hardware. .
Space Lift Danger Panic! is our first 3DS game. While in my career I have made almost 30 games on Nintendo platforms, this is my first time doing it as an Indie! Console development is tricky! But in many ways it's not as hard as I remember it, we flew through the TRC's and are now super excited to see the game out in USA / EU Eshops. A Japan release would be nice, but there is a lot of complexity with releasing a game in that market if you don't live there. The game was originally released on Mobile in 2013 and was one of my first solo developed titles. This release is the ultimate version of the game, and the one I am most happy with! Commissioned by the Singapore Government, we made a prototype for a game to celebrate the 50th anniversary of Singapore. 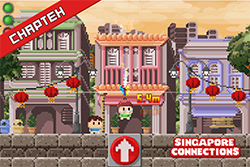 We made a series of minigames based around Singapore's wide and varied cultures, while we were initially selected to move into full production with the game, ultimately things didn't work out. However the Dragon Boat game served as the inspiration for what would later become "The Last Vikings". During the development of this game our team size grew to 15 people, and Springloaded became an unwieldy beast! We are a lot happier now focusing on our own thing, albeit with a smaller team. I learned a lot about outsourcing through the project, and where to take and not to take risks. Tiny Dice Dungeon was the first game Springloaded released as a company. 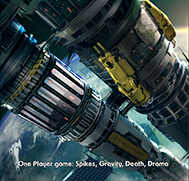 The game is an innovative RPG with dice rolling mechanics at its core. Available to play on Mobile platforms and the Kongregate Web portal Tiny Dice Dungeon has reached almost 3 Million players to date. We love the game, and hope to revisit it for a new game one of these days! My final game as a solo developer, this was the 5th Solo game project for Springloaded, and demonstrated to me that we needed to grow a bit to become more successful at what we do. 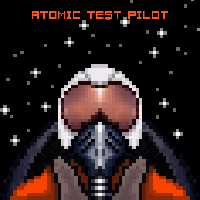 Atomic test pilot was actually in development for less than a week (I took a break from my bigger game to work on it). And has continued to collect a small number of fans since launch. We started work on a Wii-U version, and a 3DS version, neither of which were ultimately completed... But you know! Never say never! 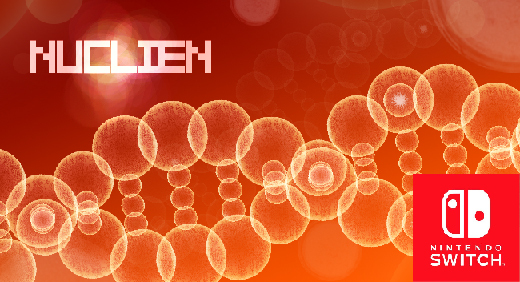 Nuclien has a long history, it was originally called "Alpha Gene" and was released on Windows phone in 2010. Several years later after becoming a full time indie developer I decided to dig up the code, refine it and re-release it on iOS and Android. As my second proper release (after Hiragana Pixel Party) I had high hopes. The game was featured on Kotaku, and gained a relatively large user base (the game is currently a premium title). To date the game has been downloaded 30,000 times.